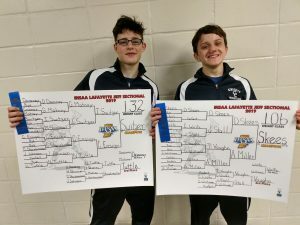 It has been that long since a Central Catholic wrestler has won a Sectional title in the tough Lafayette Jeff Sectional. On Saturday Dominic Skees broke the streak and captured the 106 pound Championship beating Miller from Attica in a 7-4 Decision. About an hour later Isaac Switzer added to the total and won the 132 pound Championship dominating Ensign from Jeff with a 12-4 Major Decision. The Knights finished the day with 2 Sectional Champions, a Sectional Runner-Up, two 3rd place finishers, and a 5th place finisher. 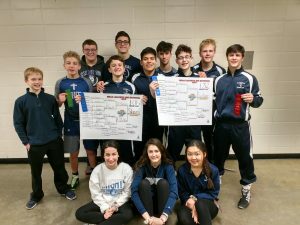 5 Knights will advance to the Logansport Regional on Saturday. 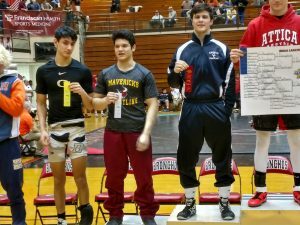 106 Dominic Skees earned a forfeit by Carroll, then defeated Stall of McCutcheon by a 6-1 Decision advancing to the Sectional finals and over coming a 0-4 1st period deficit to win 7-4 and become a Sectional Champion. 126 Andrew Kline lost his first match to Smith of Delphi, he had to win his next match to keep wrestling. Andrew beat Baumgartner of Jeff by a 7-1 Decision. He fell to Synesael of Attica but bounced back to capture 5th place in a tough match winning 1-0 over Deutsch of West Lafayette. 132 Isaac Switzer avenged an early season loss by beating Shimmel of Delphi 8-3. 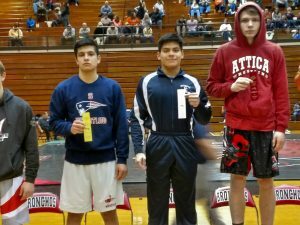 Isaac then earned a spot in the Sectional finals by defeating Matney of McCutcheon 5-3, and finished his day with a 12-4 victory to become a Sectional Champion. 138 Christopher Antonio has been dealing with a nagging shoulder injury, but fought hard on the mat coming up short and ending his season after 2 matches. Christopher ends his season with 21 wins. 145 Dakota Skees wrestled a challenging opponent from Harrison in his first match, winning 7-4. Dakota then pinned Montero of McCutcheon in 39 seconds and advanced to the Sectional Finals. 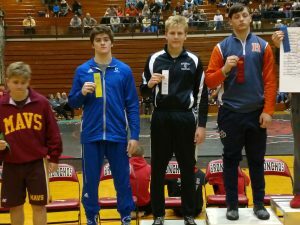 In the finals he came up a bit short against Douglass of Attica, finishing as a Sectional Runner up. 160 Felipe Viera started right out of the gate earning a Pin Fall over Rucker of Delphi in 40 seconds. He then fell to Merkel of Harrison and need to win his next match to advance to Regionals. Felipe did so in dominating fashion Pin Falling Collins of West Lafayette in 2:29. Felipe then captured 3rd place with a 11-2 Major Decision over Romero of Seeger to become a Regional Qualifier. 170 Peter Brown pinned Summerfield of Faith Christian in 40 seconds to kick off his day. 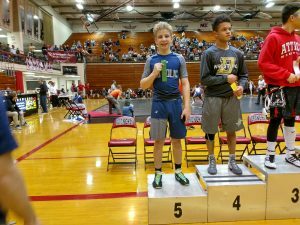 He lost a close match to Barket of West Lafayette. Like Felipe Peter need to win his next match to advance. Peter pinned Grimes of McCutcheon 1:40 and in an exciting back and forth match he pinned Mazurek of Carroll at 4:31 to lock in 3rd place and a spot at Regionals. Central Catholic finished in 6th place in team scores with 102 points ahead of Seeger (64.5) Delphi (63), Carroll (51), and Faith Christian (39). 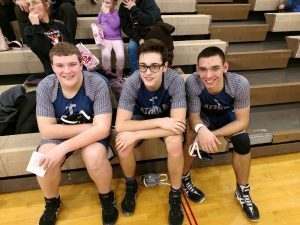 Earlier on Thursday, Ben Haan, Alex Denney, and Nathan Hardenburg competed in the JV County Sectionals. 182 Alex Denney went 1-2, 160 Ben Haan went 4-0, and HVY Nathan Hardenburg went 0-2. *In 1999 John Kochert was a Sectional and Regional Champion for Central Catholic.